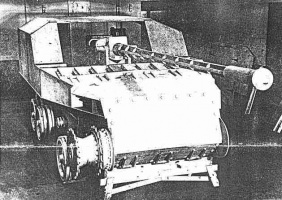 Prototype light SPG developed by Vickers. Development started in 1947. However, the prototype was not manufactured until 1950. 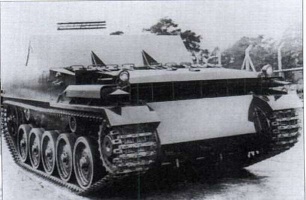 The design of the SPG was already obsolete by this time, and the project was canceled. Commonly known as "Bert the Avenger" or just "Bert" at playerbase. Bert The Avenger is a unique SPG. It has very good accuracy and aiming time, along with a fast rate of fire -- as little as a 10 second reload. This is balanced by the fact that it has very low damage and penetration, as well as virtually no splash radius. The small gun also means that it cannot stun a target. Just like the Bishop, it is necessary to bring the FV304 closer to the action than a typical SPG, due to its low range, and support its team with a constant barrage of sustained fire. The good news is that its blistering speed allows it to relocate to proper range in short time. However, if it needs to defend itself, despite having good gun's accuracy and aiming time, the low alpha damage makes one-shotting enemy impossible unless its on low health (below 100), and the low shell velocity makes hitting fast moving lights difficult, even in short range. All in all, Bert is quite a capable SPG, but needs to be handled differently than most arty. 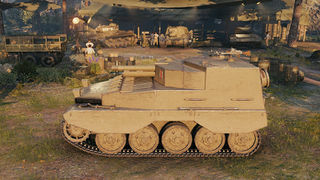 Before 0.9.15.1, the size was less than half that seen with the introduction of the HD model, and it had the second highest camouflage rating in the game. View range and mobility were also better prior to this update. This allowed the FV304 to be played like a scout and/or ambush TD. Fastest SPG in the game due to top speed and pw/wt ratio. One of the most accurate artillery in the game. Decent gun horizontal gun arc and very fast aiming time. Very high gun arc allows it to hit enemies behind cover easily at close-to-maximum range. Awful range especially worse than Tier 2 SPGs; and now a very high profile making it hard to hide from the enemy. Low damage and penetration, often bouncing off some heavily armoured tanks. Rather underwhelming rate of fire for its alpha, lower than Bishop; extremely low splash radius. Very slow traverse speed compared to its acceleration and top speed. Extremely poor shell velocity, even for SPG. Bert is different from most other SPGs. He has low range (about 500m) but is very fast. The trick with Bert is to play him more as a support tank, this can be done by hiding behind rocks or small houses as the high elevation of his cannon will allow you to shoot over such obstacles. With Bert, you have to know where the enemy and your team is, because the moment a flank is weakening you should try to get there and support it as fast as possible. His high speed will allow you to do this. The low damage and penetration of Bert's cannon is countered by a high rate-of-fire. You can track tanks and leave them helpless out in the open or just shoot them yourself once they are pinned. 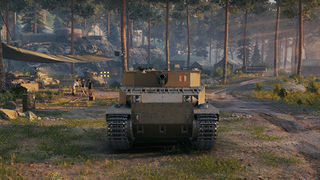 Hitting fast moving targets is another matter though, and the tank can be frustrating for many players. However, you do have an over-abundance of shells so you don't have to be shy about using them. Bert should not be thought of lightly as he can escape dangerous situations easily then retaliate later keeping tanks tracked and even scout late-game if needed. Note that Bert no longer can be used as a fast TD as he is just too darn big for sneaking around unnoticed. The Q.F. 4.5-in. Howitzer and WS No. 19 Mk. III Radio carry over from the Bishop. Mount them immediately. First, research the Rolls-Royce Meteor M300 Engine. 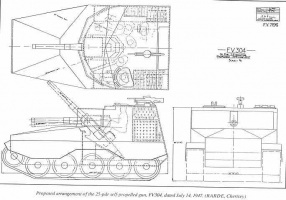 Next, research the FV304 Mk. II Suspension, as you'll need it if you want to carry any equipment modules other than Coated Optics. 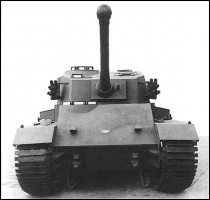 Development of the FV300 started in 1943 when the Tank Board called for a British Light Tank to be in production by 1945 to replace the USA's Stuart, and later Chaffee, in British service. A contract was place with Vickers for a tank of 14 to 16 tons mounting a 77mm (as subsequently in Comet). This was the first time that a machine of this category was to have armament suitable for the task it would have to carry out, which was in reconnaissance troops of tank regiments. Transmission and suspension were kept as simple as possible to reduce power loss at the sprockets, and the tank owed a good deal to the experience which had been gained from Harry Hopkins and Tetrarch. 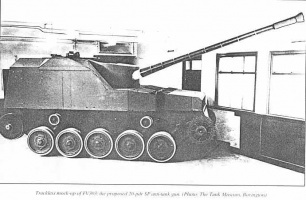 FV300 was intended to be air-portable in unladen form, and the possibility of carrying the turret, gun and even tracks separately in another aircraft was seriously considered. Even then, it would have been necessary to lift a 10-ton load, and thereby to accept much reduced strategic range in any transport aircraft available at that date. The air-portability requirement was therefore dropped, and as the order was only for 80 production tanks, progress was extremely slow. The wooden mock up led to many modifications, among them being the substitution of a Meteorite V-8 350 h.p. engine in place of the 210 h.p. GMC6-71 motor originally proposed. The engine and gearbox were moved to the right front of the hull, leaving the final drive at the back, to bring the gun layout into line with that selected for the SP's and other variants.1946 saw a revived interest in the project, and it was brought into new series as FV301. By 1947 further changes had been made. The Rolls-Royce Meteor petrol-injection 500 h.p. engine coupled to a TN10 gearbox in place of the earlier Spicer box was to be used, on a sub-frame for easy removal as a unit. Torsion bar suspension was used, in preference to the Christie type, The turret was composite-built, with a front casting and rolled plates for the rest. The 77mm gun had a new concentric recoil system, promising even better accuracy, and it was mounted well forward in the turret to provide room for the crew. An equilibrator was used to compensate for the out-of-balance. Eighty rounds could be stowed in the hull, a considerable design feat, considering the size of the ammunition. 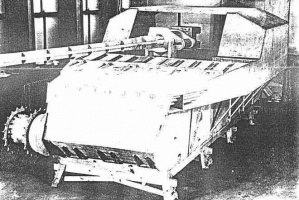 But frontal armour was reduced to 2"actual thickness, the all up weight of the machine having risen to 21 tons. 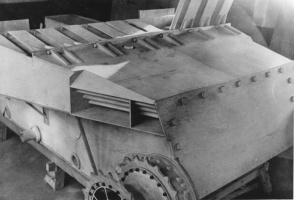 However in 1950, doubts arose about the value of such lightly armored vehicles on the modern battlefield. In parenthesis, one may be permitted to wonder why these doubts had not been properly evaluated earlier; but the result of the later views led to the cancellation of the entire FV300 series by 1953. 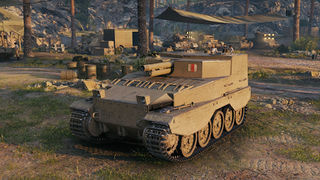 The FV304 models presented in the game currently are actually The FV305. 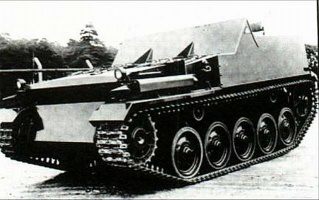 The 4.5-inch howitzer was never developed for the FV304. It was only used on the BT-42, a Finnish assault gun. Considering that the model of in-game FV304 is actually FV305, it should have the 5.5 inch howitzer which is the main armament for FV305 as gun choice. This page was last modified on 12 March 2018, at 13:10. This page has been accessed 129,200 times.